It's a long story, probably buried somewhere on this forum now but the short version is the old site got bought out and got overrun by ads and other things for profit. I noticed the rampant ads when I checked in there the other day. glad to see this site is ad free. Welcome, it's been a while David. got my gear all set up, should have a bike next month! Candiya and Chrishil54 like this. What are you looking for in a bike? ive got a line on a 2006 GSXR-1000. seller will be back in town next month so I can pick it up. I had an 05 gsxr 1000 and was a fantastic bike super fast real easy to ride fast or slow, hard to go rong with that one. Picked her up on Friday. Needs a little lovin but could not beat it for the price! Willow, Chrishil54, Greg and 1 others like this. tore this thing apart last night and found about what I expected for 12 years and 12,000 miles. Spark plugs worn, been replaced once but due for another set, air filter was nasty, intake valves covered in carbon gunk - indicative of having only been ridden 3 times in the last 3 years. gonna soak em in some special cleaner to hopefully get rid of most of the gunk. brakes are weak, common issue on these. Got some Vesrah RJL pads, braided lines and RBF-600 brake fluid on order. Should make a big difference. I might upgrade calipers down the road but im going the budget friendly route for now. turn signal and brake lenses were starting to yellow from age and debris. ordered some brand new smoked lenses to install and really clean up the looks. stompgrip is faded and yellow. Its too aggressive anyways. Got some techspec tank grips. up next will be coolant hose replacement once I recover from the first round of reconditioning costs... Man this stuff adds up quick! If you want to do the fork seals yourself and save some money. If ita a plug for a tricke charger it is Just 2 leads right off The battery. Rode in to work today. Wow I forgot how great it feels to roll on in 4th gear, zip through a few cars and disappear!!! 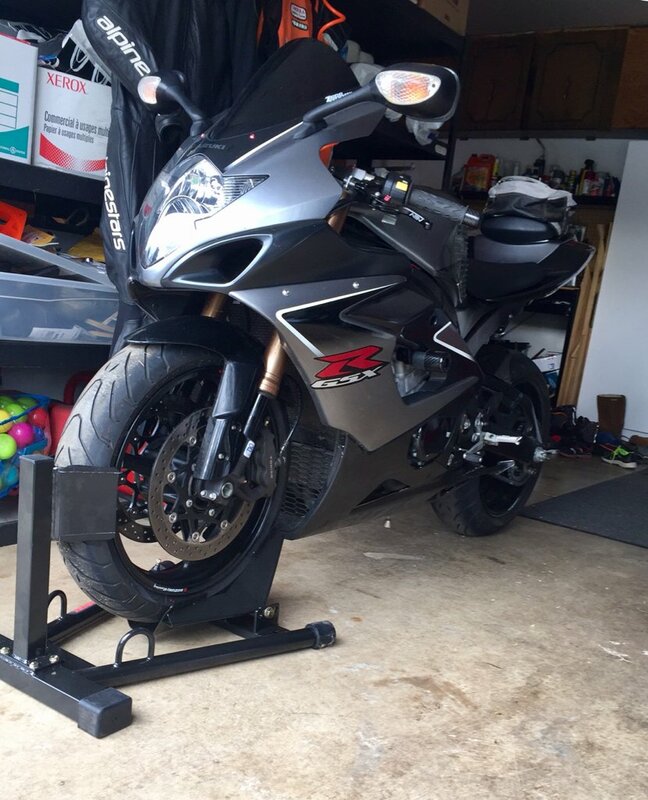 Got a 2014 Gixxer myself. They are fun!